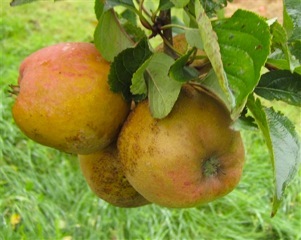 I wonder how many of you realise that this particular apple was found in an out-of-the-way orchard in County Cork and that it was found and rescued by one of Ireland’s most endearing gardening characters, William Baylor Hartland, who was a Cork man. He named the apple after his own house Árd Cairn and he was a huge promoter of Irish Apples and Irish Daffodils. Árd Cairn House still stands in Cork and can be found on Temple Hill in Ballintemple. Here Hartland had his bulb house and nursery where he propagated his many plants and is more widely known for his beloved daffodils. Advertisement for Hartland daffodils in The Gardener’s Chronicle, 1892. 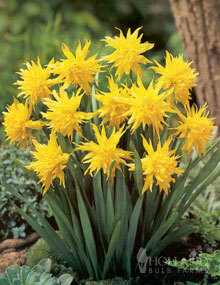 The most closely associated to William Baylor Hartland is a variety called ‘Rip van Winkle’ and is the name that Hartland bestowed on this diminutive double small narcissus that can still be purchased today quite readily. 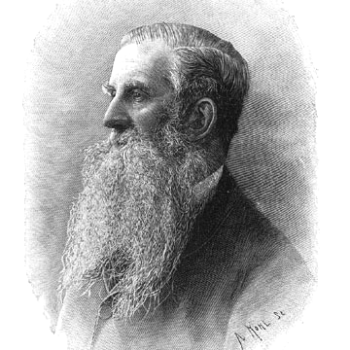 William Baylor Hartland was the father of the flourishing Irish daffodil industry in the late 1800’s. When the Prince and Princess of Wales visited Cork, Princess Alexandra entered the city wearing a cluster of Mr Hartland’s daffodils – he had placed them in the royal carriage at Ballyhooly railway station just in case…. 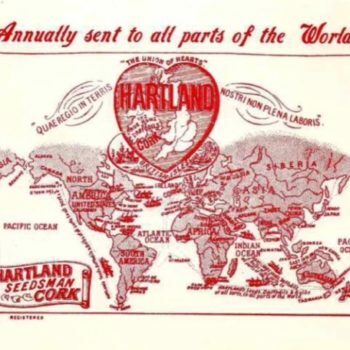 Hartland was no ordinary nurseryman, he was a marvelous self-publicist and being a Corkonian was determined to put Cork on the world horticultural map – and he succeeded. On the back of his nursery catalogue there was a map of the world with an enlarged map of the British Isles. The only place marked was Cork written in very large letters in the middle of the British Isles stating that ‘Cork was the true home of Daffoldils’. The map was marked with shipping routes to all corners of the world, to which he would ship his beloved daffodils and seeds and plants. So next time you want to plant an Irish Apple tree or indeed some beautiful small daffodils think of the hard work done by William Baylor Hartland to promote Cork and its horticulture and buy an ‘Árd Cairn Russet’ apple tree or some ‘Rip van Winkle’ narcissus bulbs to honour this great Corkonian.